Yesterday was very productive chez Shells. We cleaned out the garage and unpacked the last of Mr. Ink’s boxes from the move. I guess he’s staying. *snerk* I cleaned the basement as well, and mowed the lawn, and prepped the yard for winter. It was a busy day around here. But, I still found myself plying on Spinday! 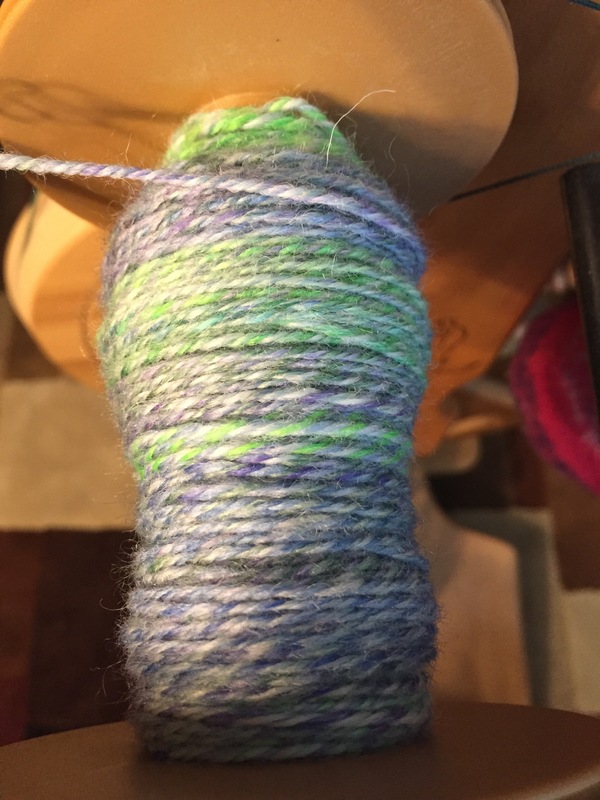 It was getting later, but I managed to finish the skein and get it in for a soak while Mr. Ink went grocery shopping and I cleaned all our floors. Did I mention it was madly productive yesterday? I love that! 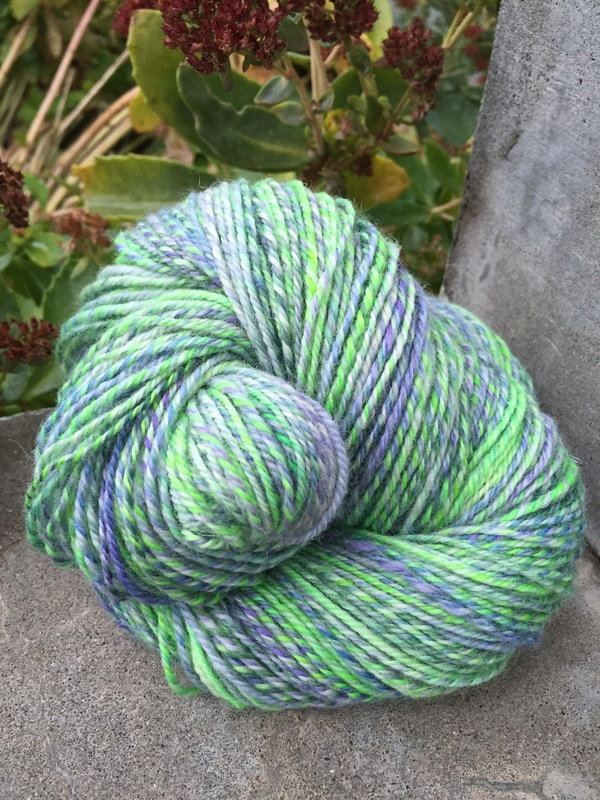 I am home with Sick Miss Bug today, so I even have an opportunity to grab a photo of the finished yarn and post it! This is 250 yards of 3 ply. I love that the neon greens toned down nicely. I wish it were a bit richer in color overall, but it’s not too bad! I think I redeemed this one. So today’s crafting will simply be to finish clue 2 of my mystery shawl. I am eager to get it done, since the rapidly expanding cables are really hard to manage! Only 2 more cable rows left.